I feel the need to start this off with a disclaimer: I am fat. And not in the way that people call Lena Dunham or Christina Hendricks fat. I am actually fat. I’m talking can just barely fit into an airplane chair, can hardly squeeze into a 3X dress, gets winded after walking up a flight of stairs kind of fat. I know it, and everyone else knows it, but they’re afraid to acknowledge it. Her protestations surprised me because I am fat. Anyone who looks at me can see it. And yet, actually saying it out loud seemed to cross some kind of invisible line. That’s why, oddly enough, I was so relieved when I was recently told by a specialist that I need to lose weight. Without getting into the specifics of my condition (and no, it’s not Type 2 Diabetes) I was told in no uncertain terms that I need to lose weight for the good of my health and to get rid of the few symptoms I have. If I continue to gain weight, I could put myself in serious danger—and I really prefer not to do that. Although at the time I could feel my face turn red with embarrassment, I’m still grateful that a doctor finally told me I need to shape up. I haven’t been perfect. I’m still working on my eating habits and sometimes the temptation of a gourmet food truck is just too much to bear. I even had reservations about writing this piece, because my experience has been that most people want to tell me what to eat all the time despite the fact that I know a lot about nutrition (knowing what I should eat and actually eating it are two very different things). Dear Kirthan. I have always been gargantuan, fat, monstrous, you name it, as relative to my culture (South Asian Indian) and thus have experienced a life-long dance with how I refer to myself, how I feel about myself, and how I identify myself (am I my body or more than that)…all to say that you seem to have found in yourself a friendship and acceptance that I admire. As you become a smaller woman and improve in health, you have become a bigger person, in my eyes, for having dared so greatly and posting this article. This doesn’t really say anything. Why post anything at all? You just admitted you’re overweight and you want to do something about it. So? @Emily eating habits don’t always have much to do with weight. i’ve known lots of ‘typically skinny’ girls that eat horribly. 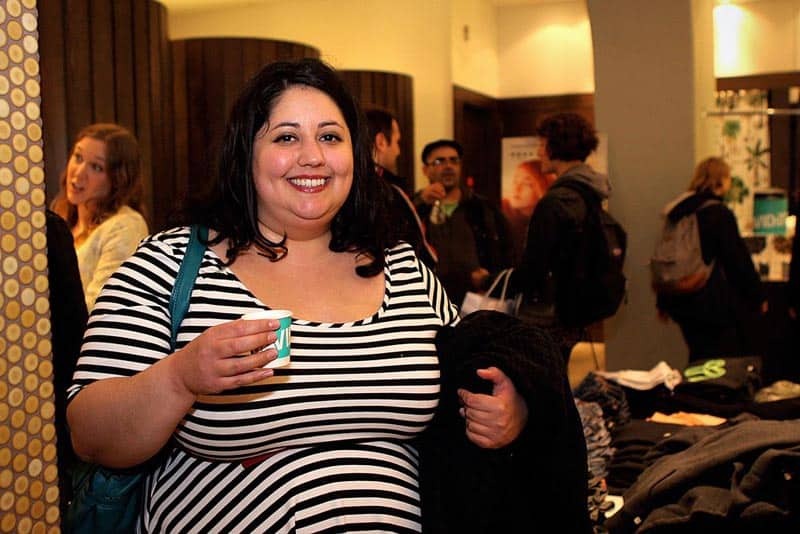 perhaps the comment made by the author was in concern of her health, not her weight. the two are not synonymous. @Emily She posted it for herself, and to help other people realize it’s OK to acknowledge weight and talk about it. And, because she felt like it. Just like you felt like posting your useless comment, and I feel like posting this reply. So? Lovely post, I hope it will encourage a lot of thought and conversation!